They may seem like they perform similar roles, but web designers and web developers are actually two different kinds of professionals. The differences are actually pretty significant, and their most distinctive characteristics are described in this comparison article. Web designers typically use graphics programs such as Photoshop and Fireworks in order to create skins for websites. 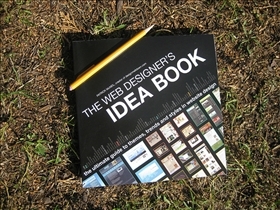 They also use program such as Dreamweaver and Visual Web Developer to assemble graphic elements into a working website. Web developers are almost always totally dependent on the design views provided by the programs that they use. Web designers are expected to have experience with graphic design and they should actually know how to build a web page. In order to excel at their craft, web designers will have to research web user experiences and implement testing strategies that will help them develop better web pages. Web developers on the other hand are commonly tasked with writing, modifying and debugging software used for web sites. They should able to access databases as well as business logic servers, and work with web designers and content producers. Finally, web developers are expected to test and document software for use in web sites. Web designers almost exclusively view the web from a design perspective. They are intimately familiar with design ideology, paying particular attention to the Web. The best designers are familiar with the latest design trends, and are able to determine the feasibility of an image for the web instantly. In general, web designers are responsible for bringing much of the visual appeal to the Web experience. In fact, it may be said that web designers bridge the gap between the text-based infrastructure of the web and the end user of what eventually ends up as true media content. Web developers on the other hand view the Web as a means to access information quickly and easily. The most experienced will be able to tell when a website doesn't work properly, although they may not be able to determine the visual feasibility of a website. Web developers are therefore trained to think in a logical manner, with the goal of increasing efficiency, functionality and ease of use for the end user. Which one spends more time working on a site? SQL Server vs. Sybase: Which is better? Open Source vs. Free Software: What's the difference?